If you can’t decide on the best activity to try in Miami, this is for you. 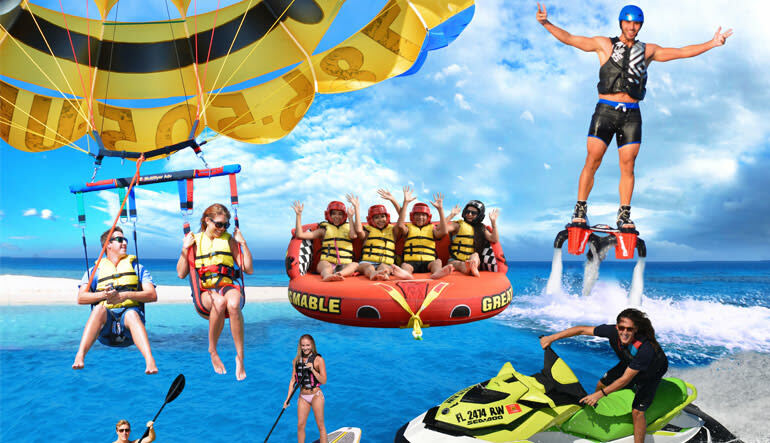 Try flyboarding, parasailing, kayaking and jet skiing all in the same day! If you can’t decide on the best activity to try in Miami, this is for you! Try flyboarding, parasailing, kayaking and jet skiing all in the same day! Flyboarding is the newest and most thrilling activity that uses cutting-edge technology to propel you into the air. 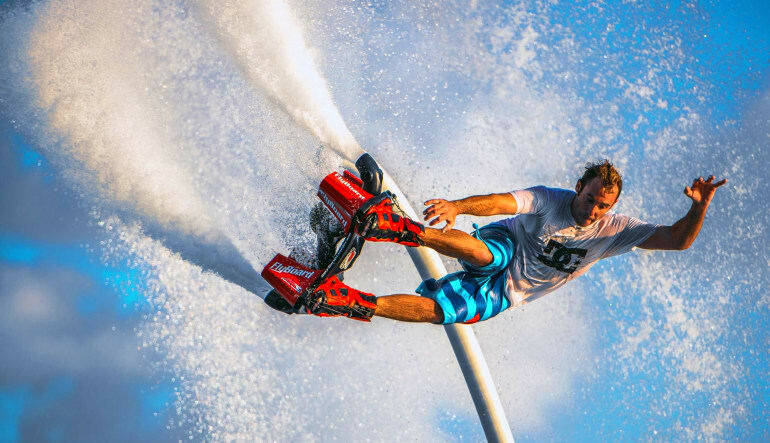 Your flyboard has water powered jet thrusters at your feet which will control your flight path. 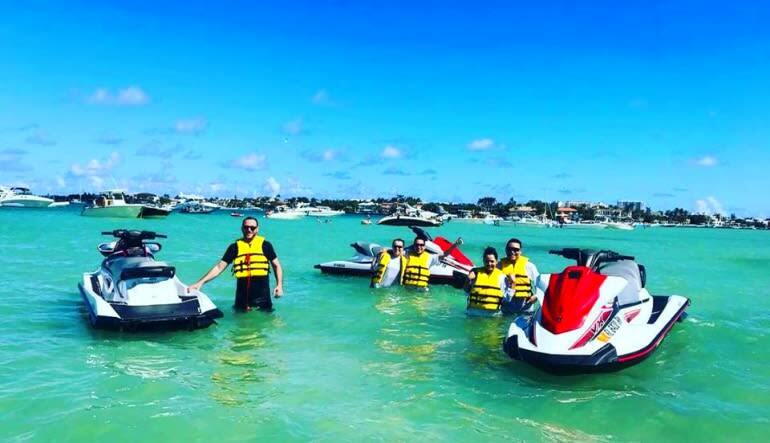 You will be fitted with a flotation device and your personal instructor/safety officer is on a jet ski close by controlling the throttle and offering advice and tips throughout. Next up, jump aboard a jet ski and navigate the waters of Miami. Spots that can be visited include Star Island, Fisher Island, Bayside and Miami Beach. 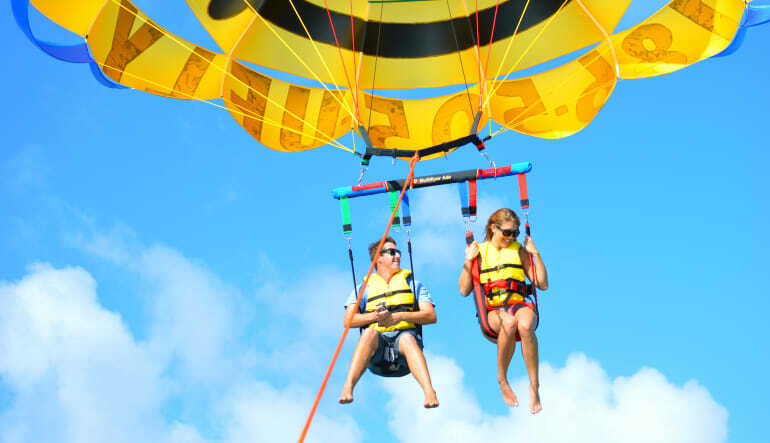 If you’ve never been parasailing before, you’re in for a real treat! From up to 400ft in the air you will see all of Key Biscayne, Stistville, Fisher Island, Brickell, Downtown Miami, Coconut Grove, Coral Gables, the Everglades and more. You might even be able to spot dolphins, turtles and rays. To cap it all off with something a little more relaxing, enjoy an hour long paddle in a kayak or stand up paddle board. Book this multi-activity experience for your chance to try it all!